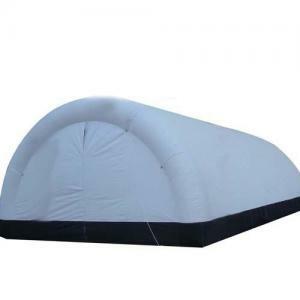 Have you been searching for the best Inflatable Paint Booths in town? Are you tired of purchasing or hiring fake Inflatable Paint Booths? If you, you are at the right place because our company is here to supply you with the best spray booths. We are a company that has been providing Inflatable Paint Booths for the last decade and we are pleased to tell you that our services have been improving. We sell inflatable paint booths that have been manufactured by the best rated companies in the country. Our products are designed with a lot of dexterity making them the best for sanding, cleaning and spraying. These inflatable paint booths are also designed for prep and mechanical works in any enclosed areas. These inflatable paint booths are available in very unique solid colors with translucent panels on the roof that are mainly meant to allow a favorable amount of natural light. You will only be required to choose colors that will suite you best. You can also decide to make arrangements for personalized logos. We have a large variety of inflatable paint booths that can be used for commercial and industrial purposes like spraying concrete. The inflatable paint booths vary in size and the large booths are mainly used onsite when a large area needs to be protected with these elements. The inflatable paint booths are very portable because of their easy-to construct properties. We also provide small scale car spray booths that are very flexible. They can be used from any location in your workshop. Our inflatable paint booths are very pocket-friendly. You will only be required to request a quote on our website or to visit our offices. We are always ready to supply you with quality inflatable paint booths at any given time from monday to Saturday during the normal working hours. PreviousWhy inflatable spray booths over metal confined spray booths? NextA Quick And Efficient Paint Job using Inflatable Paint Booth.